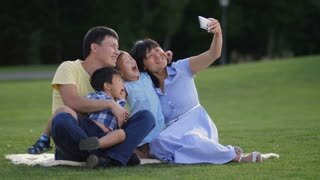 Search Results for "cute family"
Portrait of cute family of mother and little sweet toddler daughter with down syndrome cuddling, smiling and posing on camera while laughing and enjoying good time together on green grass meadow. Excited smiling asian family with cute siblings piled on top of happy father in summer park. Beautiful multi ethnic family lying in pile up on park lawn while spending great time together outdoors. Cute Female in Family Way, Posing For Camera Lift up and Whirls With Ballon, Stroking Tummy, Standing in Park in Daytime in Open Air. 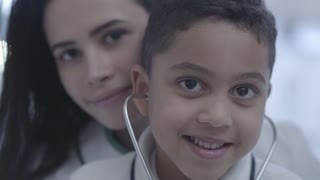 Positive caring single father and adorable mixed race son making delicious fruit kebabs of fresh juicy ingredients in domestic kitchen. Family with cute boy preparing tasty fruit skewers at home. Cute American Raccoon. 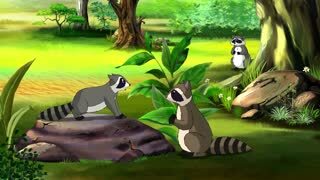 Raccoons family playing in the spring forest. Handmade animated UHD motion graphic. Portrait of happy family with cute boy laughing sitting at sofa at home while watching cartoon at digital tablet. Cute happy little girl painting a picture on an easel her father watching her. Mature handsome man smiling proudly while his cute little daughter drawing at the art studio painter artist family. Two dog toys laying on back car shelf 4K. Empty big car shelf in family car with two cute puppy dog toys enjoying the ride on road. Movement in back window.